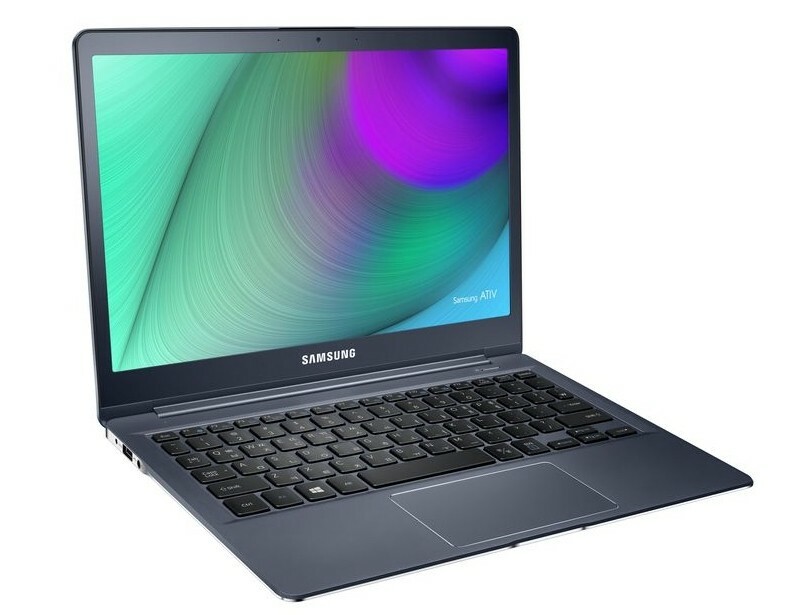 Samsung has got a brand new, thin and light Ultrabook on the cards for 2015 that slots perfectly into their Ativ Book 9 range. The new model sports a 12.2-inch display with a 2560 x 1600 resolution, capable of 700 nits of brightness in its outdoor mode, and a fanless design powered by Intel's Core M CPU. The design is a typical affair, and includes an all-aluminium chassis with the typically great keyboard and trackpad we've seen on past models. While the laptop is quite thin, Samsung has still managed to pack in a large battery which they claim is good enough for 10.5 hours of usage on a single charge. Other specifications include 4 GB of RAM and a 128 GB SSD if you shell out $1,199.99 for the base model. Spending a little extra cash ($1,399.99) and you can net yourself 8 GB of RAM plus a 256 GB SSD. The 2015 Ativ Book 9 will launch in the first quarter of 2015 with Windows 8.1 aboard. It'll also come pre-loaded with a Wolfson lossless audio player with FLAC support, and a number of new privacy features to conceal windows from screen stealers and ensure your webcam is disabled when you want it to be.